You can connect your favorite tools to LiveChat using integrations. This opens up a ton of new possibilities. For example, you can save leads in your Salesforce directly from chat or get more newsletter subscribers for your MailChimp mailing lists from the pre-chat survey. Some integrations allow you to use certain tools or services straight from the LiveChat app. To see if the tools you are using have an integration with LiveChat, check our Integrations page. With over 40 integrations available, there is a good chance that the CRM you are using or your e-commerce platform are already connected to LiveChat. The integrations have been divided into 12 categories. Below, you can find a list of the available categories along with brief descriptions and examples of flagship integrations. Analytics integrations will help you to collect information from LiveChat and save it in another tool. The type of information that can be collected depends on the integration. 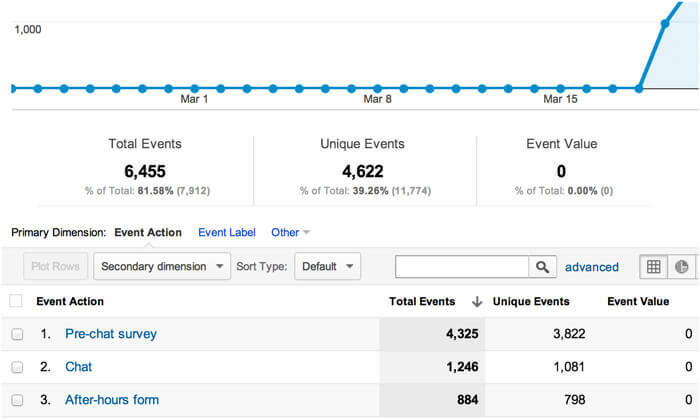 An example of such integration is our Google Analytics integration. Using this integration, you can pass information about conversion to chat and the effectiveness of your marketing campaigns from LiveChat to Google Analytics. CMS integrations allow for an easier implementation of LiveChat on your website. 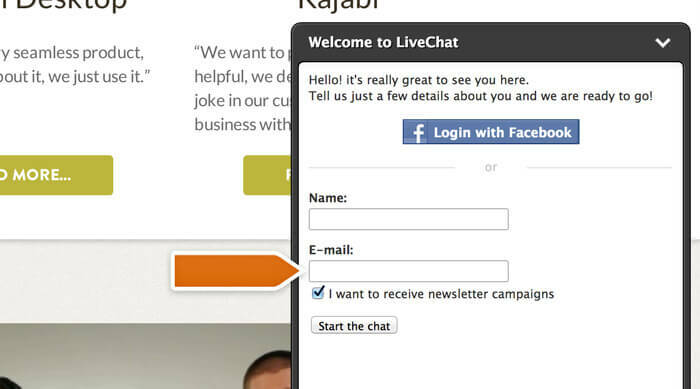 By using one of these integration with your CMS (Content Management System), you will be able to install LiveChat on your website with just a few clicks. Our WordPress, Joomla! or Drupal integrations are examples of CSM integrations These integrations involve downloading certain plugins that can be added to the CMS itself. 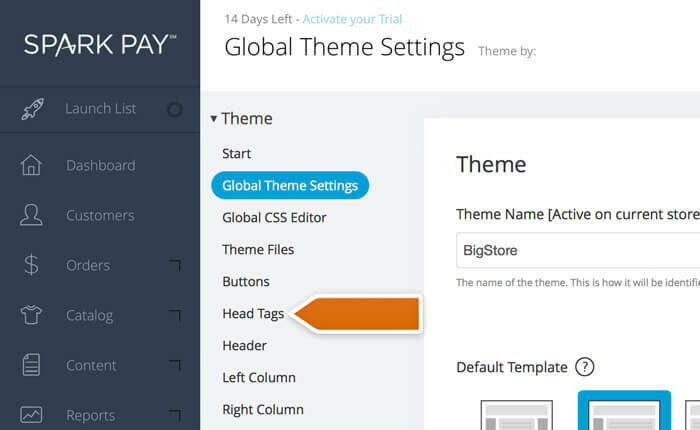 By doing that, you will get the option to set up LiveChat from the CMS control panel. Contact management integrations allow you to show data about your customers in the LiveChat app. Additionally, you can use them to store the visitor information you get through LiveChat for later use. Currently, we have two such integrations with FullContact and with Talkdesk. CRM integrations can help you with your sales activities. Contact information of potential customers can be stored in your CRM (Customer Relationship Management tool) with a single click. If you are using Salesforce, Hubspot CRM, Highrise, SugarCRM or other CRM tools, you can store customer contact information straight from the chat window. You can use the desktop sharing integrations to get access to your customers’ screens to pinpoint and solve problems faster. For example, the join.me and LogMeIn Rescue integrations allow you to start a screen-sharing session from the LiveChat app. The e-commerce integrations help you place a livechat function in your online store. This requires no coding skills or any additional knowledge. All you have to do is to go through the installation tutorial and enable the integration in your store’s control panel. 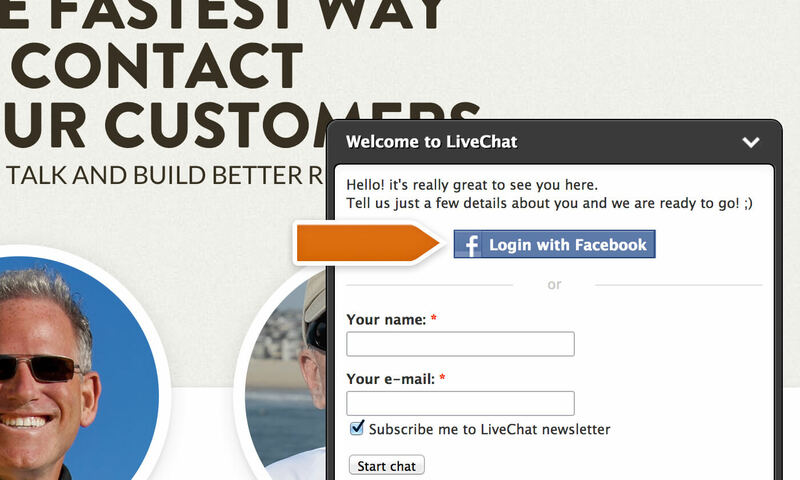 LiveChat supports a number of such integrations: Shopify, Magento, Bigcommece, Spark Pay and more. Email marketing integrations help you grow your email marketing lists by asking your customers whether they want to sign up for your newsletter when signing in to chat. This additional channel of acquiring new newsletter subscribes will help you grow your list faster and, as a result, expand your reach. Using one of these integrations, for example an integration with MailChimp or Campaign Monitor, customers who access your chat will get the chance to sign up for your newsletter just by ticking a box. Files sharing integrations provide an alternative to the built in files upload feature in LiveChat. You can use them to share files stored in a particular service with customers during chat. The Dropbox integration is an example of such integration. Using this integration, you can share files directly from your Dropbox folder over chat. Using the help desk integrations, you can hook up popular ticketing systems to LiveChat to create tickets directly from chat. 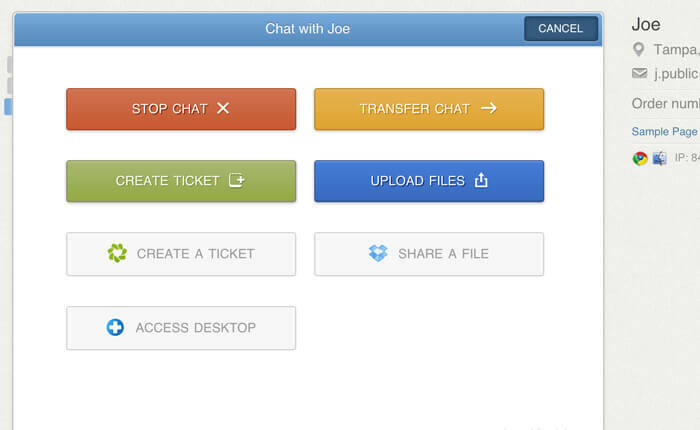 The chat transcript, along with the details about the customer, will be stored in the ticket. Example of such integrations include the Zendesk and Desk.com integrations. By installing such integrations, you will also be able to see all previous ticketing history with a particular customer directly in LiveChat. 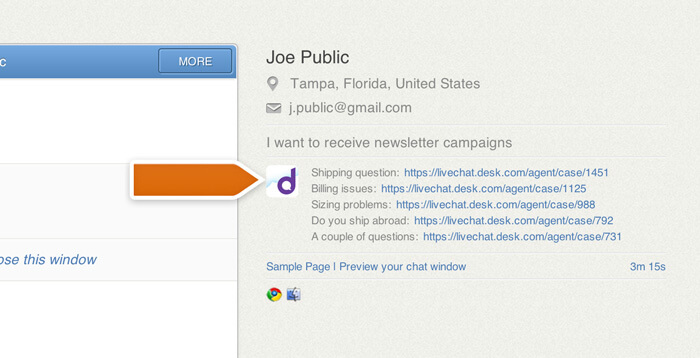 The invoicing integrations will help you issue and manage the invoices for your customers during chat. For example, the Freshbooks integration will use the data your customer entered when signing in to chat to add those customers to your database and create invoices for them. The social media integrations will allow you to grow your following on various social media sites. There is a number of Facebook integrations available that will make it easier for your customers to sign in to chat, allow them to chat with you or leave a ticket directly on Facebook or simply to like your Facebook page straight from the chat window.